"And, has thou slain the Jabberwock? A few weeks later, I tried again. Would you like me to tell you a story? (indignantly) That's not a story!! 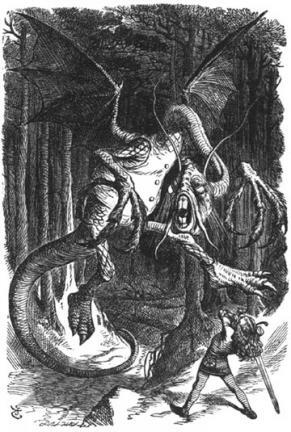 By the way, many of the monsters appearing in this poem also appear in the much longer The Hunting Of The Snark, published in 1876.